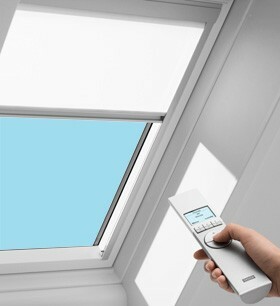 If you already have a VCE Velux Electric Venting Curb Mount Skylight but you're in need of a blind, this is the what you are looking for. These blinds will fit Velux CURB MOUNT skylights manufactured in 2010 or later.There are two types of blinds available, blackout or light diffusing blinds. Both types are available in different colors. Special order colors are available in a larger variety of color and take about 2 weeks to deliver. Operated via our new advanced RF remote.